Breaking News: JGSLA 2010 program now live! We’ve all been waiting anxiously for this announcement. The program for the 30th IAJGS International Conference of Jewish Genealogy – JGSLA 2010 – is now live! Just a cursory glance will leave you breathless as you peruse the amazing collection of programs. CAVEAT: Some programs are not yet listed and there will be many changes, additions and adjustments to presentation times and days. Remember to check back frequently. Have you registered? Do you have your hotel reservation? Your ticket to ride? Your T-shirt? Time to get cracking, people, and enjoy early-bird registration discounts. Tracing the Tribe will be spotlighting various program categories in the coming days, so stay tuned for much more. The Gesher Galicia Spring regional meeting is set for Sunday, April 18, at the Center for Jewish History, 15 W. 16th Street, New York City. The two-part program begins at 11am. Part 1: Update on the Cadastral Map and Landowner Records Project, with Gesher Galicia president and research coordinator Pamela Weisberger. Cadastral land records and property maps are an excellent source of family history information. Studied together, they can show the exact location where a family lived in a shtetl. They can tell the story of neighbors or siblings who resided near each other and demonstrate how close a family lived to the synagogue, cemetery, schools, or the market square. Using house numbers gleaned from vital records, a connection can be made between these physical locations and the genealogical data. Landowner taxation books show the size and value of the properties that Jewish families owned or rented, adding greatly to the history of a family. These records are invaluable when other metrical records are not available, and in some cases they may be the only documented evidence relating to your ancestors. 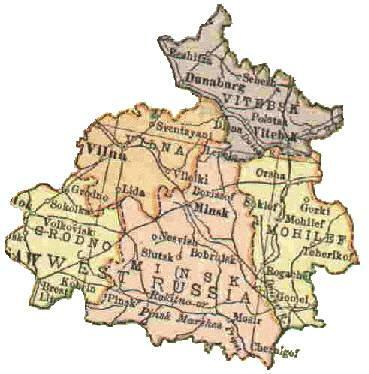 Examples of maps and records from Phase 4 of the project will be shown and discussed, along with examples from a 1765 Polish magnate “census” book showing the Jewish residents of Grzymalow and the first appearance of Jewish surnames as derived from the occupations of the Jews who lived on the estate grounds. The next phase of the project (June 2010) will be detailed along with the return of the Lviv Street and House Photography Project in July 2010. 2. A Galician Childhood Recounted – The True Story of Feige Hollenberg-Connors Feige, who was born in Korolowka in 1933. In addition to a house on the market square, her family had farmland outside of town, inherited from her Rosenstock grandfather. She led an idyllic childhood until war broke out and her family had to go into hiding. Hear her first-hand account of what it was like to grow up in this shtetl, until at age 14 she was hidden by a Ukrainian family that later betrayed her, escaped from the ghetto andlabor camp, and survived in the forest until the war’s end. Feige returned to Korolowka last summer with cave explorer Chris Nicola, who will be on hand to add a coda to her story involving his discovery of “Priests Grotto” the seven-mile long cave where 38 Jews from the town hid until the war was over, and his tenacious path to both discover the identities of those who survived the horrors of war and to successfully reunite them. There is actually a Part 3 to this program. After lunch, the JGS of New York will meet with speaker Roma Baran to hear her story of rediscoveringher family’s true identities. A JGSLA 2010 preview will also be offered. The meeting is free to all. Invite anyone who might be interested. Click here for directions. JGSLA 2010: What you will find! Don’t bother getting vaccinated for the genealogy bug – it won’t help! Just be prepared for an amazing genealogy immersion experience this year. From gold-rush pioneers to goniffs, from geo-tagging to gazetteers, and many other exciting topics, JGSLA 2010 has gathered experts, archivists, professors and authors from around the world to share their knowledge of a diverse range of fascinating topics with you and your fellow conference attendees. These experts will bring genealogy – and possibly your personal genealogy – to life and present a new world of possibilities. Regardless of whether you identify as a mind-mapper, Google geek, PC-pusher, Mac-Maven, Litvak, Galitzianer or “somewhere in Russia,” JGSLA 2010 is for you! In fact, you don’t even need to be Jewish or researching your Jewish heritage – many programs provide general information, no matter what you are personally researching. You’ll never know whom you’ll connect with at lunch, having a cup of coffee or taking a workshop. A long lost cousin? Descendants of your ancestral village? Someone investigating your family? Will this be the year you find someone to share your research, to collaborate with others, to design a website for your research interests? Will a new resource or database provide that all-important clue enabling a major breakthrough? You won’t know unless you come to this year’s conference! — Ancestry will provide classes and a free (by-appointment) digital scanning service for attendees. — JewishGen’s Warren Blatt and Michael Tobias will present “JewishGen LIVE at L.A. LIVE” on their latest databases and search capabilities. Stay tuned for news on workshops, special interest groups, birds-of-a-feather groups, films, breakfasts and tours. 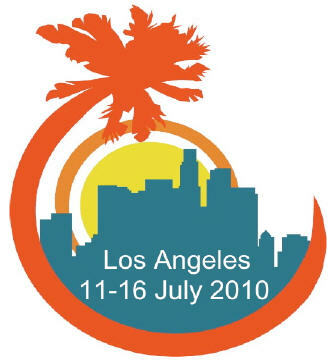 Everything you need to know is at JGSLA 2010. A picture is worth a thousand words, according to the JGSLA 2010 program committee. Since 1869, European and American Jews participated in the new postcard phenomenon. As early as the 14th century, Jews sent New Year’s greetings. The Maharil, Rabbi Jacob of Moellin (1360-1427) documented the custom and recommended that, during Elul (the Hebrew month when the High Holidays are celebrated), Jews should include wishes for a good year in all written correspondence. Both postcards and greeting cards are popular collectibles today. Researchers can find postcards of their ancestral towns and villages, or find greeting cards sent to their ancestors. A popular genealogy blogging event is the Carnival of Postcards, for which geneabloggers write about a postcard they might have. Find out more about postcards in general at Geneabloggers.com. a fascinating visual resource, Jewish postcards provide rare documentation of important events in Jewish life and Jewish history. Sabar’s second lecture will be “Sephardi Ketubah – Before and After the Expulsion (as a research tool for genealogy) and Childbirth and Magic – Jewish Amulets and Popular Beliefs in the Pre-Modern Era.” Included in that program will be an exploration of Jewish midwife customs.